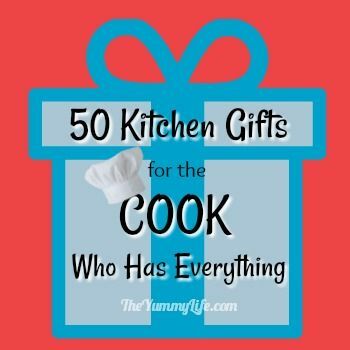 Gifts that make every cook's life easier! 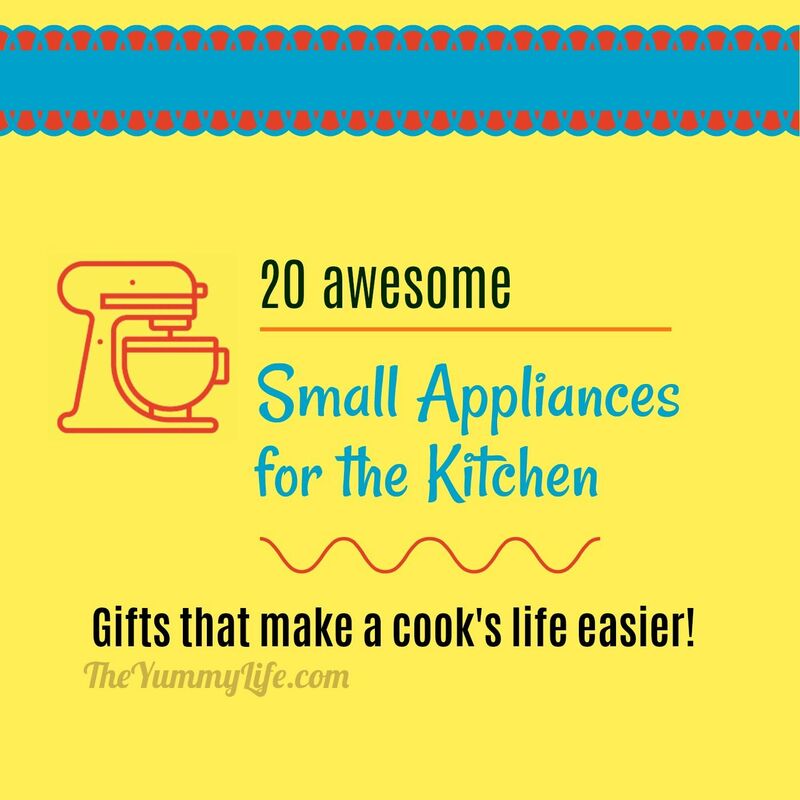 Here are my top 20 small kitchen appliances. (I updated my original list of 15 with some new favorites.) These are all tried-and-true in my kitchen. If you're like me, you have limited storage space for kitchen gadgets. That means that the ones that take up counter, shelf, or cabinet space really have to deliver. These do. In this post, I'm sharing a brief description of each appliance along with Amazon links in case you'd like to read the reviews or make a purchase. Many of my top 20 picks are also recommended by Cooks Illustrated's Test Kitchen -- a source that I often consult when making purchases for my kitchen. You may want to use these ideas for making your own Wish List or for gift ideas for others. 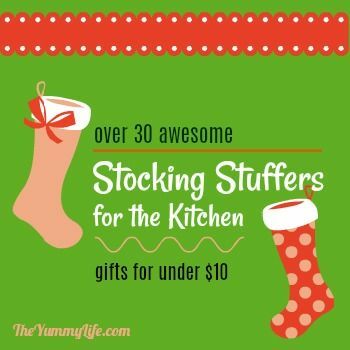 Consider them for holiday giving as well as birthday and wedding gifts. 1. Cuisinart Food Processor (view on Amazon). I use this workhorse almost daily--don't know how I'd cook without it. This 14-cup size is the #1 recommendation of Cooks Illustrated's Test Kitchen. You can see mine in use in many of my posts like this one: Easy Homemade Garlic Salt. 2. KitchenAid Hand Mixer (view on Amazon). This mixer is so powerful and easy to use that I often reach for it over getting out my big stand mixer. I use if it for mixing batters, whipping cream, and more. This model is top recommendation of Cooks Illustrated's Test Kitchen. It comes in a variety of colors. 3. Breville Blender (view on Amazon). If you don't want to shell out the big bucks for a Vitamix, this one performs almost as well at way less than half the cost. It comes highly recommended as a "best buy" by Cooks Illustrated's Test Kitchen. I've purchased these for gifts for family members. 4. KitchenAid Immersion Blender (view on Amazon). I went years without one of these versatile gadgets, and now I don't know why I waited so long. I've been surprised how often I reach for it for smoothies, soups, sauces, and more. You can even whip cream with it. It's easy & compact to store and the attachments are dishwasher safe. This model is the #1 recommendation of Cooks Illustrated's Test Kitchen. You can see mine put to use in several posts, including this one: Fruit & Spice Applesauce Blends. 5. Waring Pro Belgian Waffle Maker (view on Amazon). "Waffle Sunday" is a weekly breakfast tradition in our family, and that means I've cooked a lot of waffles in my day. I've tried several different models of waffle makers through the years, and this one totally rules! Some favorite features: it cooks 2 waffles at a time, it beeps when it's hot and when the waffles are cooked, it has an easy crispy/browning control, and clean-up is a breeze. I've never had a stuck or failed waffle. It's a dream. Really. I bought this one based on strong Amazon reviews, and they did not steer me wrong. 6. Breville Panini Press (view on Amazon). This is a small appliance that I bought with some angst, because I didn't know if I'd use it enough to justify the purchase. Well, no regrets. I've had this affordable model for 3 years now, and I use it at least 1 or 2 times a week. Not only does it turn an ordinary sandwich or burrito into some kind of awesome, but it also makes the best garlic bread toast ever. This one has a hinged lid that can be set for different thicknesses. I often reheat pizza with it since I can adjust the top to rest just above the top of the pizza and melt the cheese, while the crust rests directly on the hot bottom plate and gets crispy and good. It's a little on the small side, but that's really my only complaint. There's a bigger model available with some awesome features like removable plates for easy cleaning-- however it is considerably more expensive (it's on my personal wish list; hint-hint, Santa!). 7. Cuisinart 2-qt. Ice Cream & Frozen Yogurt Maker ( view on Amazon). If you've never made ice cream or frozen yogurt, you may be surprised how easy it is with this awesome machine. I've had mine for over 5 years, and it's gotten lots of use. I purchased an extra freezer bowl so I can make back-to-back batches. Cooks Illustrated's Test Kitchen recommends the 1.5 quart model over this one, but I've been very happy with my larger one. You can see mine in use in my post, Smooth & Creamy Vanilla Bean Ice Cream. UPDATE: After using the ice cream maker above for many years, I recently splurged on the ultimate ice cream machine with a compressor. I can plug it in and use it immediately--no need to freeze a bowl ahead. If you make a lot of ice cream, this is a pretty great machine. 8. Programmable Crock Pot (view on Amazon). I've had this model for several years and have been really happy with it. It has great features, and I especially like that it automatically switches to the warm setting when the cook time is finished. It is highly rated by Cooks Illustrated's Test Kitchen. You can see my Crock Pot in use in lots of posts that are listed in my Slow Cooker Recipe Index. 9. Aroma Rice Cooker (view on Amazon). Cooking rice can be a pain; all too often it's too sticky, or burnt on the bottom, or floating in liquid. A rice cooker eliminates all of those problem. Simply add the rice along with liquid and whatever seasonings you like, push the button, and it automatically cooks the rice to perfection and keeps it warm. Awesomeness! I regularly make a big batch of brown basmati rice and freeze it in smaller portions to have on hand--this model makes 20 cups of rice. There's also an affordable 10-cup Aroma rice cooker. I use this rice maker in my recipes for Cilantro Lime Brown Rice and Golden Coconut Brown Rice. 10. Foodsaver Vacuum Sealer (view on Amazon). This device can be used in several ways to seal food and extend its shelf, refrigerator, and freezer life up to 3 times longer than when it's left unsealed. I use a mason jar attachment on mine to extend the life of grains, flours, cereals, and nuts that I store in jars. I bought this model based on strong Amazon reviews. It's performed like a champ for me. 11. Black & Decker Citrus Juicer (view on Amazon). This doesn't compete with those huge fancy schmancy juicers that have been popular in recent years. But, if you want an affordable juicer that is fast and easy to use--this is the one. It is highly rated by Cooks Illustrated's Test Kitchen for inexpensive juicers. 12. Chefs Choice Professional Knife Sharpener (view on Amazon). My sister gave this wonderful sharpener to me as a gift, and boy do I love it. If you have a hard time sharpening your knives, this one delivers "knife sharpening for dummies". There are magnets that hold the knife at the correct angle, and the different steps are numbered for you. Just run your knives through the slots in the correct order, and the result is razor sharp knives. This has been a game changer for me. 13. DeLonghi Compact Automatic Cappuccino, Latte, Espresso & Coffee Machine (view on Amazon). This is by far the most expensive small appliance in my kitchen. King-Man and I are coffee and espresso snobs fans, and we like every cup freshly brewed from freshly ground beans. This amazing machine makes a cup of freshly brewed espresso or coffee in a variety of sizes at the push of a button. Plus, it automatically empties the old grinds so it's ready to brew the next cup right away. I'm married to a frugal man, yet he has said that he will buy another one of these immediately if this one ever stops working. That's how much he loves it. My son and daughter-in-law and sister have this machine, too. A family favorite for sure. 14. Oxo Cordless Electric Kettle (view on Amazon). I use this every single day to quickly heat water for tea. It's fast. I especially like that it is glass so I can see when the water boils. It's also very easy to clean, because none of the heating elements are on the inside of the glass. It's a simple appliance that makes life easier. This Oxo model was voted best electric kettle by both Good Housekeeping and Cooks Illustrated's Home Test Kitchen. 15. Soda Stream Home Soda Maker (view on Amazon). If you drink sparkling water, seltzer water, or carbonated drinks regularly, then I recommend that you consider one of these machines. The one pictured below is the #1 recommendation of Cooks Illustrated's Test Kitchen. This one comes with plastic bottles and is an economical model that works really well. It's so convenient to keep chilled bottles of water in the fridge that can be put in the Soda Stream to immediately create sparkling water that can be drunk plain or mixed with juice or syrups. See how I use mine in my post, Naturally Flavored Sparkling Water. 16. Instant Pot 7-in-1 Programmable Pressure Cooker (view on Amazon). This single appliance does just about everything. 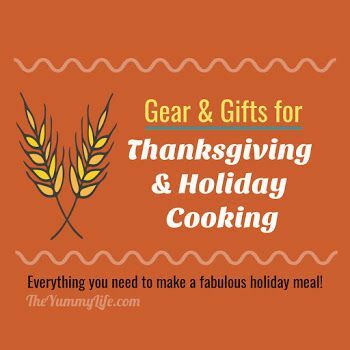 It's a Pressure Cooker, Slow Cooker, Rice Cooker, Yogurt Maker, Steamer, and more. I purchased this primarily to use as a super easy and safe pressure cooker, but I've been pleasantly surprised how often I use it for other purposes. This multi-tasking appliance is a great space saver, since it replaces so many other appliances all in one machine. This model is an Amazon best seller. 17. Cuisinart Elite 4-Cup Chopper/Grinder (view on Amazon). This and my espresso machine are the only small appliances that I use often enough to leave out on my limited counter space. I use this mini food processor almost daily for quickly chopping garlic, ginger, onions, nuts, herbs, and other smaller portions that don't warrant getting out my big food processor. It's dishwasher safe, so clean up is a breeze. This little guy is one of my favorite kitchen gadgets. 18. Breville Smart Convection Toaster Oven (view on Amazon). I chose this Amazon best seller because it is large enough to hold a 9x13 pan, making it function as a double oven for my kitchen. The convection feature results in even cooking, a feature not found in other toaster ovens. It's great for reheating and toasting, but I use it just as often in place of or addition to my big oven. It's great to have during the holidays when it's a challenge to find space to cook multiple dishes at once. The thousands of positive Amazon reviews didn't steer me wrong. Love it! 19. KitchenAid Artisan Stand Mixer (view on Amazon). This 5-quart model is unique because of its glass bowl. I love being able to see inside the bowl to easily know when ingredients are mixed well. The glass bowl is heavy, though; some people prefer this same mixer with a metal bowl. Or, you can purchase an additional metal bowl separately and have both--very handy when you're doing a lot of baking! I also have a flex edge beater that scrapes the sides of the bowl as it mixes. For mixing cake batter, cookie and bread dough, whipping cream, and so much more, this is a fabulous mixer. 20. Mini Slow Cooker (view on Amazon). This affordable, 1.5-quart size is perfect for keeping dips, sauces and gravy warm. It is full-featured for such an inexpensive appliance with 3 settings (low, high, warm) and a removable, dishwasher safe stoneware pot. Those are 20 of my favorite small kitchen appliances. I just did a quick proofread of this post and may have used the word "awesome" a few too many times. That's just how I feel about these kitchen wonders. Forgive me. If you have questions or comments about any of these appliances, please leave them in the comments sections below.